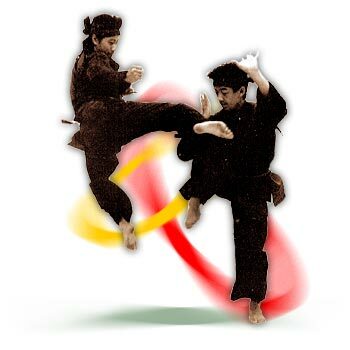 Pencak Silat is a comprehensive martial art from Indonesia. It is a form of self-defense which combines kicking, punching, grabbing, locking and several weapon-techniques to a graceful and dynamic hard-soft style. The emphasis lies in the agility, explosiveness and flexibility in combination with the surprise effect. All these aspects go hand in hand with traditional norms and values as brotherhood, self-discipline, politeness, loyalty and respect for others. Pencak Silat’s origin is from the Indonesian-Malaysian archipelago. When the Pencak Silat was established can not exactly be determined. Although the oldest archeological findings in the Indonesian archipelago which refer to the existence of martial arts in Indonesia are dated approximately in the year 800 A.C. Therefore one is convinced that Pencak Silat is at least older than 1200 years. Through the centuries Pencak Silat has developed it self to the extremely varied martial art it is today. At this moment there are at least 800 different Pencak Silat styles in Indonesia and is practiced in many countries in the world. In the past several names were given to this Indonesian martial art, which was mainly dependent on the region. The names used were parmoca, silat sile, silat, pencak, penak, etc. For example the name pencak was mainly used in Java and silat was mainly used in Sumatra. The name Pencak Silat as we know it today already existed before WWII and is in fact a combination of the two most used terms for this martial art. It was officially used for the first time in 1946, during the establishement of the first national Pencak Silat association (the IPSSI – Ikatan Pencak Silat Seluruh Indonesia). This organization is the predecessor of the current Pencak Silat association in Indonesia, the IPSI (Ikatan Pencak Silat Indonesia). 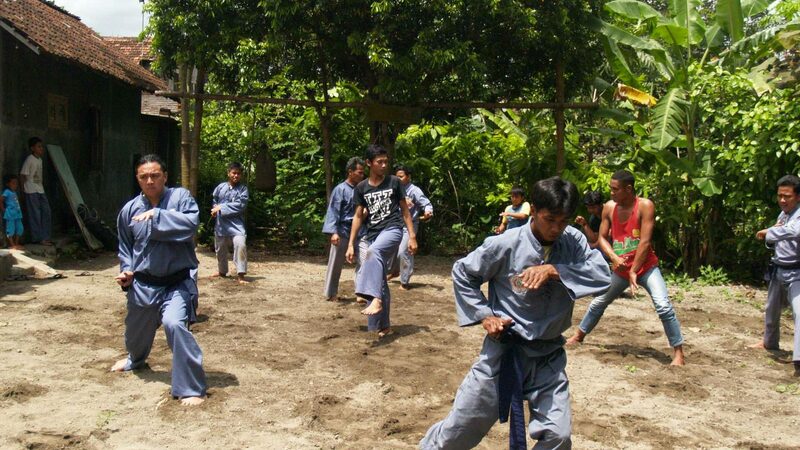 Perguruan Pencak Silat Pamor Badai owes its name to 2 main styles which are practiced, namely the Pamor and the Badai. Both styles originate from the same family. The Pamor is a traditional family style and the Badai is a young style which only officially exists since 1969. In the Netherlands Pamor Badai is located in Diemen, in the Amsterdam area. Next to the Netherlands Pamor Badai is also located in Indonesia and Surinam.